I love making these! I can remember eating pot noodles as a kid and I loved them. For some reason I found it very satisfying pouring hot water into the pot and watching the noodles soften – I was clearly easily pleased as a child! But we all know that these aren’t the healthiest foods to eat – well they are if you make this version. You can add whatever you like into them, using up any leftovers you have. 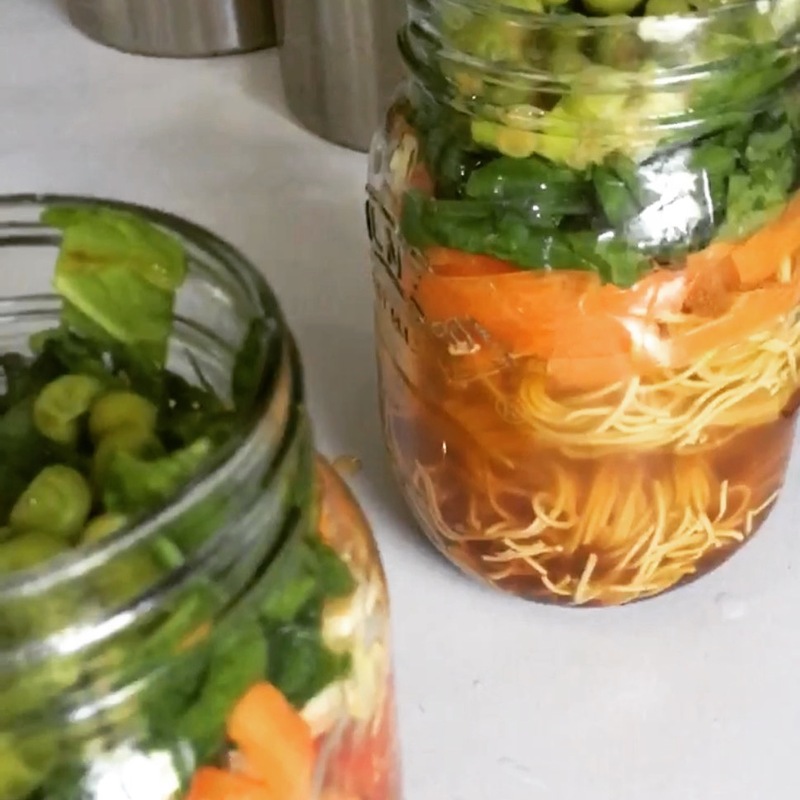 What is even better is that you can prep these up in advance, popping your ingredients into a glass jar that is large enough for the portion size you require and take them with you to work or where ever you are going for the day – just make sure you have access to hot water and you are good to go! Kilner jars are great for this recipe, if you can get hold of a clip top jar then they are even better. Place all the ingredients into your jar apart from the soya sauce and lime juice. Pour over the boiling water making sure everything is just covered. Press the ingredients down with a fork several times. Cover and leave to stand for 8 -10 minutes. Give it all a good stir and add your final two ingredients. This is so tasty you’ll never reach for a lunch time sandwich again!